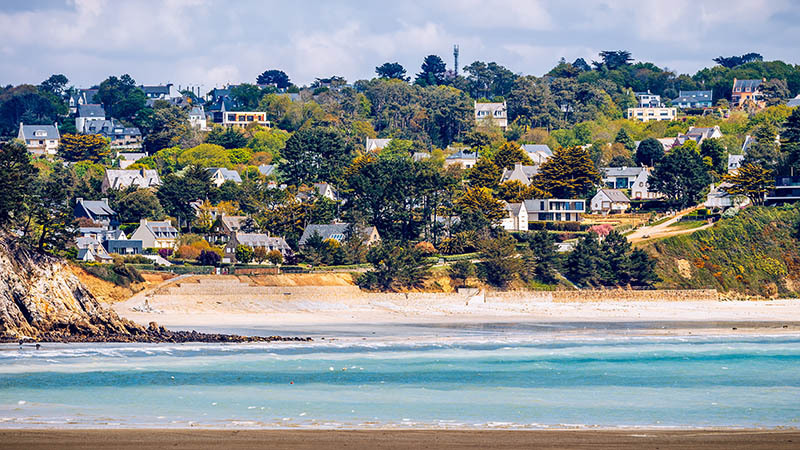 Beautiful village of Morgat with the sand beach and rocky coastline, Finistere, Brittany (Bretagne), France. 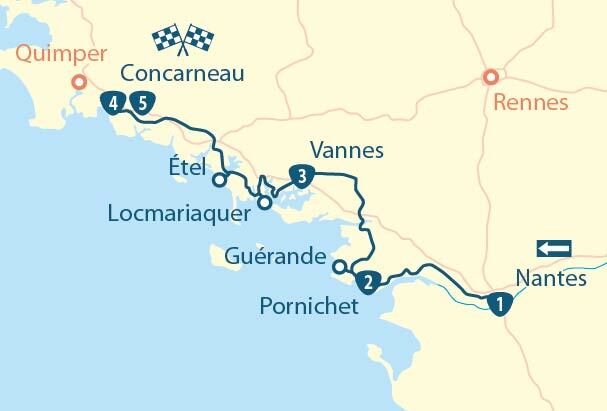 Looking for the best way to discover South Finistère? It’s all here! 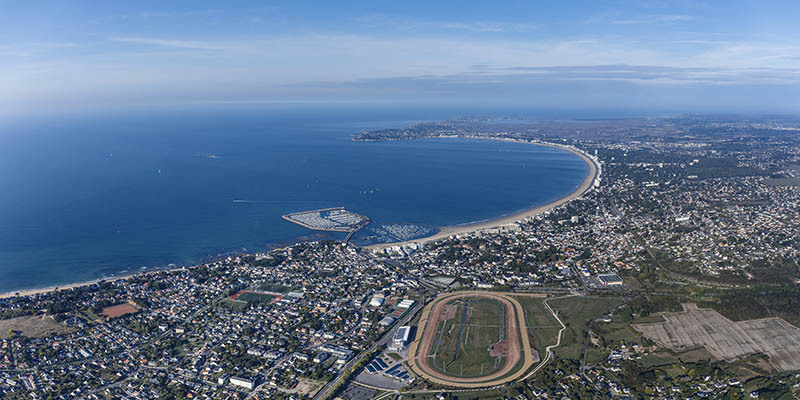 You’ll marvel at the wild splendor of Cornouailles’ nature, be enchanted by the views that have inspired so many artists, both painters and writers, or gain inspiration from the story of fortified strongholds marked over successive centuries. 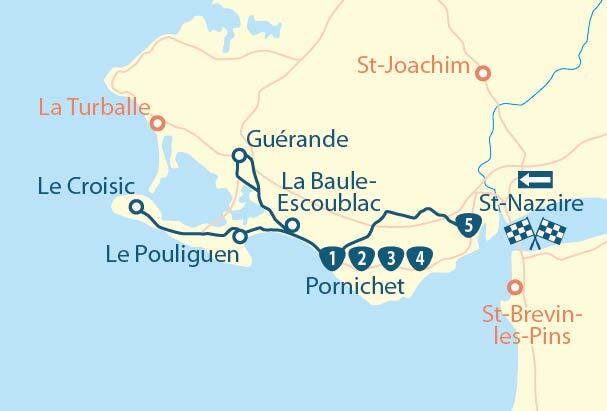 Brest and Concarneau, Douarnenez, Quimper, the Crozon peninsula, Pont l’Abbé, Pont Aven … in just a few days, this journey will take you beyond the end of the world and lead you to the borders of Brittany. The city of Brest is a miracle. Almost completely destroyed during World War II, it now has all the marks of a modern and dynamic metropolis. Take advantage of your visit to this oceanographic capital by diving into a fascinating seabed exploration at Océnanopolis. 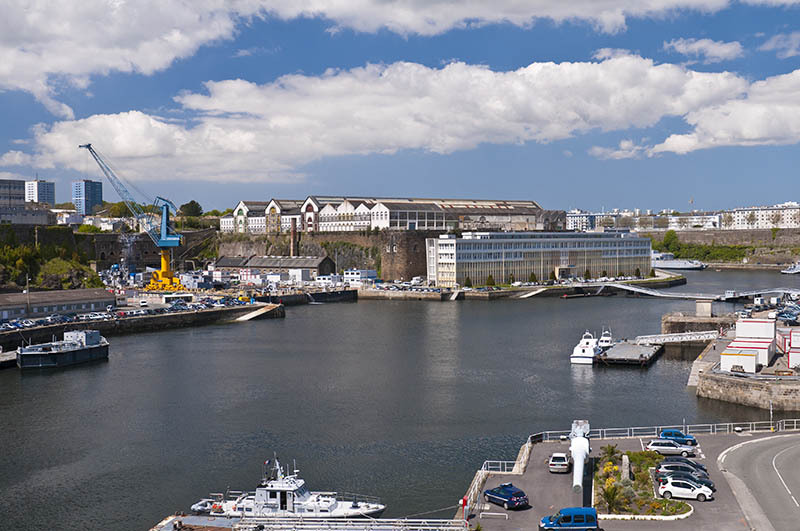 Next, go and explore the port, devoted to the Navy for several centuries, stroll, paddleboard or go on an old tall ship in the famous Brest bay, and visit Brest’s medieval castle, the sole survivor of the war; next, go and relax on the beach at Blanc Moulin or surf at the cove at Petit Minou, shielded from wind and beaten by the waves. 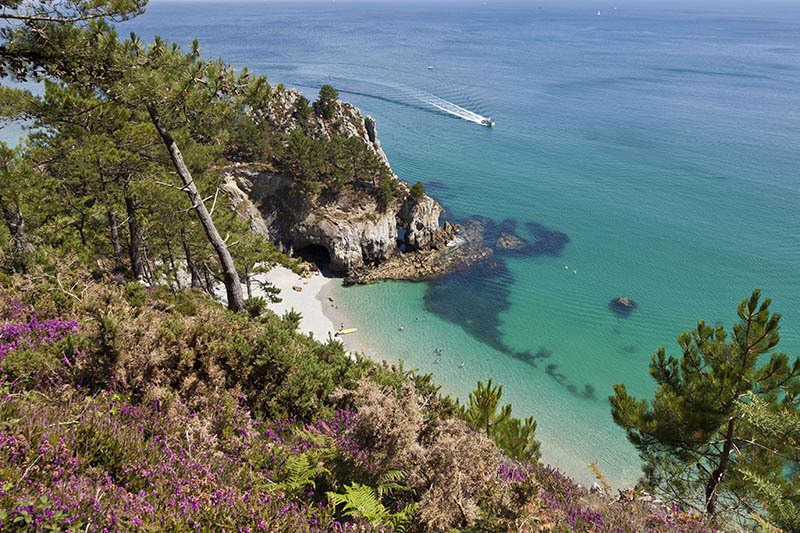 Leave Brest in good time to enjoy a day on the Crozon peninsula, a preserved environment with diverse landscapes that could represent a condensed version of Brittany in itself. From heathland and ferns to imposing cliffs that you can hike across above a turquoise sea during summer, a trip to the Armorica Regional Park won’t disappoint. 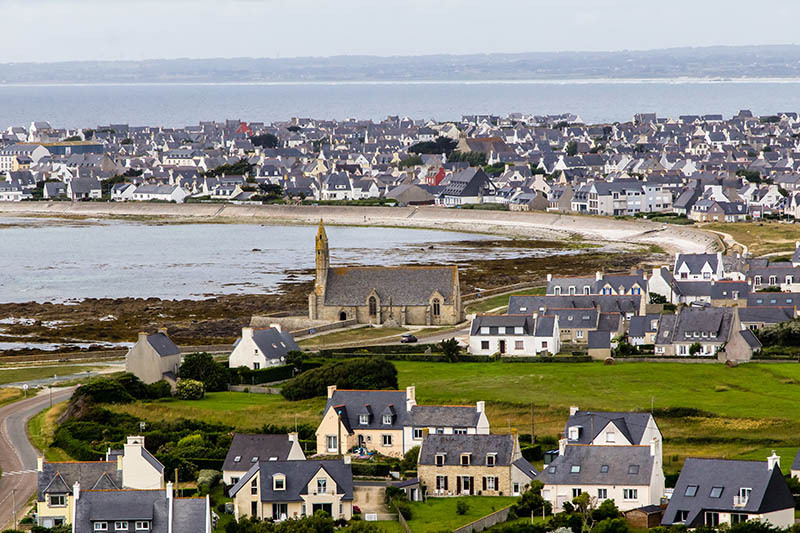 Start your walk through Camaret’s pretty, colourful harbour up to the UNESCO World heritage site of Tour Vauban and the ‘ship graveyard’ it guards. 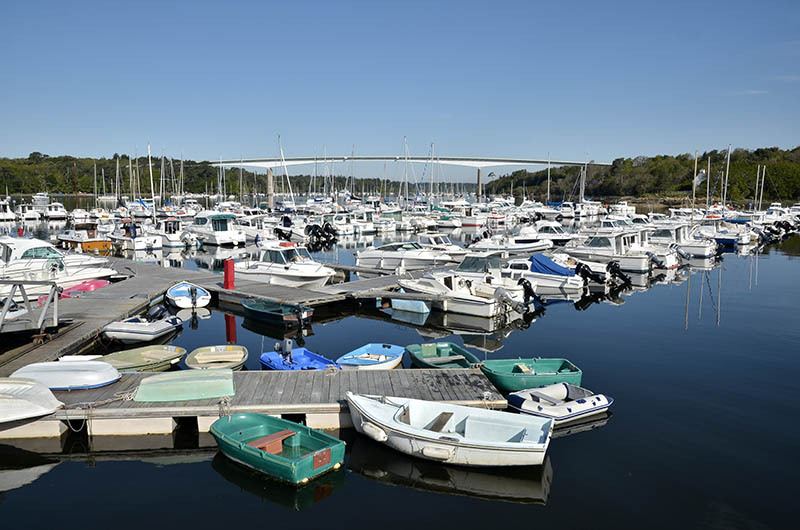 Next, head to Cap de la Chèvre where exceptional views will plunge you from the top of its rocky overhangs on the Bay of Douarnenez and the cove of Morgat. 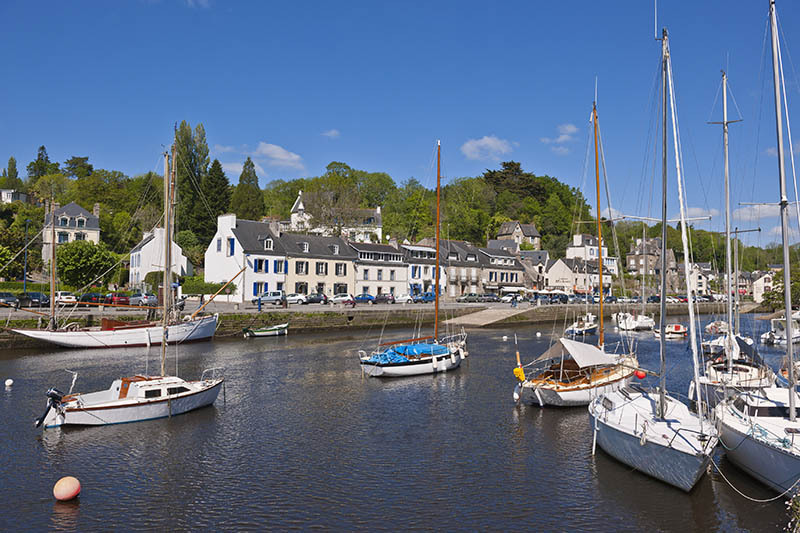 Head to Douarnenez at the end of the day to spend the evening on one of its many lively quays. 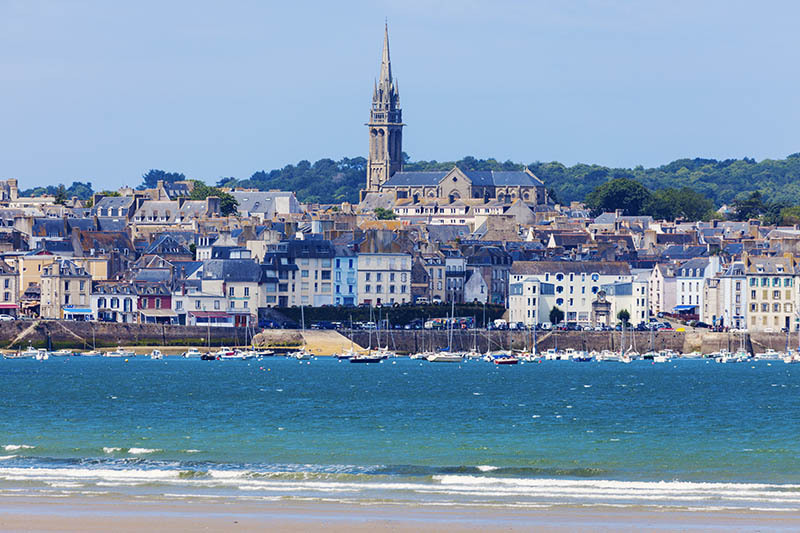 Douarnenez, the city of four ports, was the capital of sardines long before the Kouign-Amann. At the archaeological site neighbouring Plomarc’h, Roman remains of sardine curing tanks leave no doubt about the ancestry of the port activity. 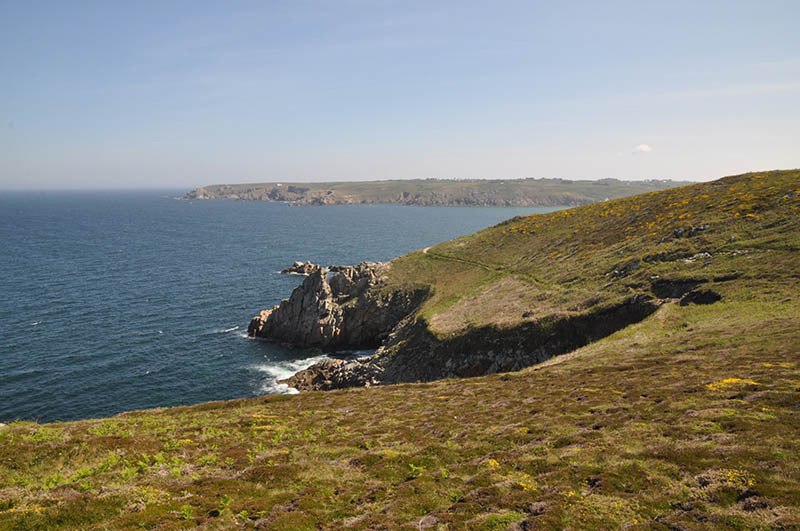 Take in the bustle of the quays by wandering between canneries and seaside villas before going on to enjoy the views from Pointe du Raz on le Cape Sizun and Pointe de Penmarch, examples of nature in its raw state. Passing by Pont l’Abbé walk through the pleasant centre of this small town in Bigouden country. 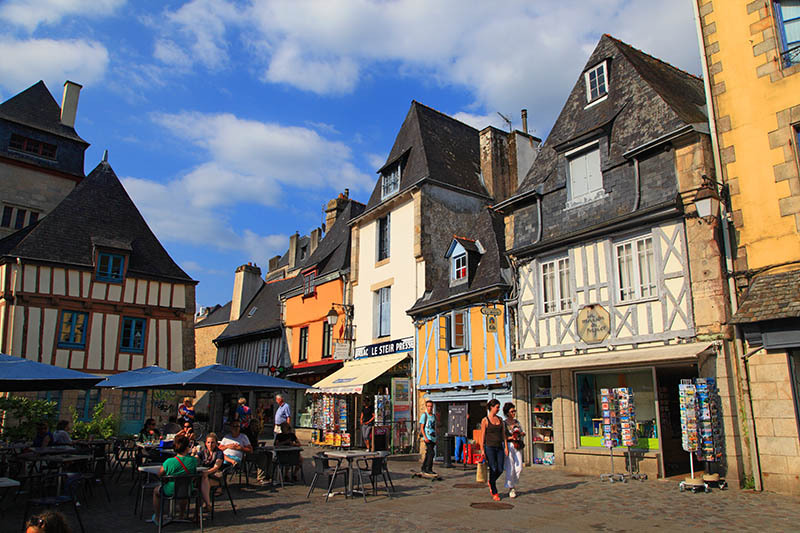 Arriving in Quimper, you can unwind by strolling amongst the old town’s half-timbered houses. If there’s one thing not to be missed in Quimper, it’s Saint Corentin cathedral. A jewel of Gothic art, take a detour through the quarter known as the ‘ville des évêques’ (‘city of bishops’) to contemplate the beauty of its architecture. 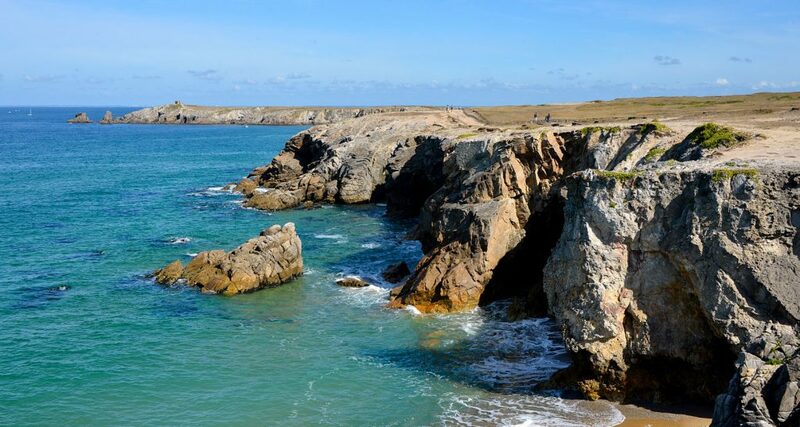 In this former capital of Cornouailles, the Locmaria quarter is a must for lovers of Breton art. 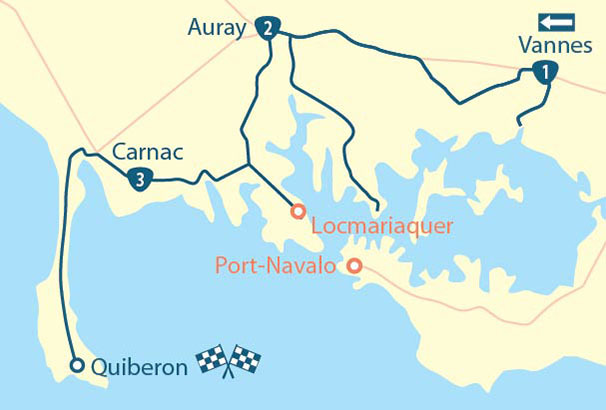 Time permitting, continue your tour with a visit to the charming port city of Bénodet; before spending the afternoon in Pont-Aven to understand the passion for this village of artists such as Gauguin or Serusier within the prism of its small port, its picturesque houses, its floral valleys, its wash-houses and galleries. Finish the day at Concarneau. The “walled city” is deserving of the name. Its feet in the water and its mighty ramparts, to which the parapet walk provides access, are evidence of the defensive power of this city of sailors, protecting its inhabitants from the rigours of both man and the sea. 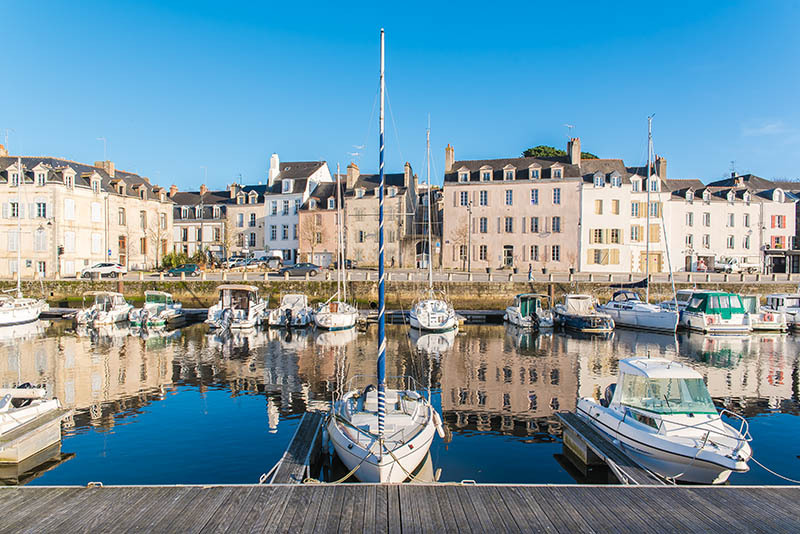 This fourteenth century granite citadel is home to the historic heart of Concarneau, Brittany’s most visited town, with its rue Vauban and cobbled lanes. Enjoy a last look at the bay from the city, the ultimate souvenir to bring back from your trip. 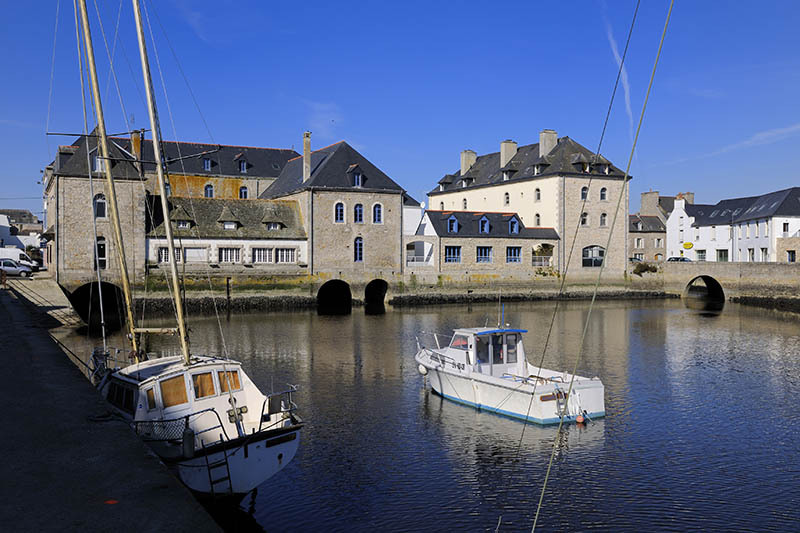 From Brest to Concarneau – a tour with stages, offered by MyTripTailor, the specialist in self-guided trips. Customize the stages of your tour and choose your accommodation, services and activities, there and then and in one go!